Wizz Air (Hungary) (Budapest) has announced it will close its Wizz Air (Ukraine) (Kiev-Zhulyany) subsidiary and replace it with a new Wizz Air (Hungary) Kiev base. 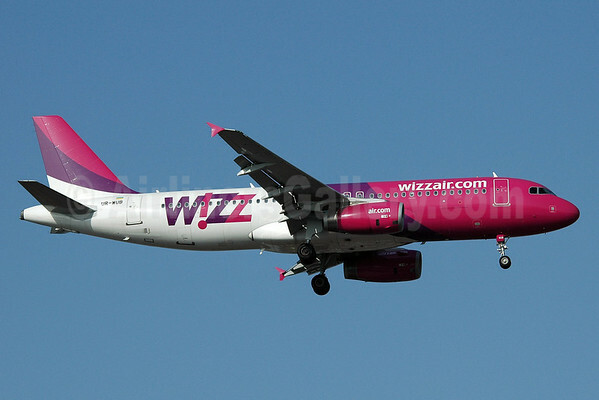 The last Wizz Air (Ukraine) flights will be operated on April 19. Wizz Air Holdings Plc announced that it will be further restructuring the Group’s operations in Ukraine. From April 20, 2015, Wizz Air Hungary will operate 8 routes into and out of Ukraine, to be followed by opening a Kiev base with one Airbus A320 aircraft on June 4, 2015. Also from April 20, 2015, Wizz Air Ukraine – currently flying two aircraft on 16 Ukrainian routes – will cease operations. The second Airbus A320 aircraft currently based in Kiev will be redeployed to Wizz Air’s new operating base in Kosice, Slovakia, which will start operating new routes from Kosice to Milan Bergamo and Sheffield-Doncaster in early June 2015. Customers holding tickets from April 20, 2015 on the routes noted above will need to re-book their flights with Wizz Air Hungary, who will be operating these routes from April 20, 2015. These customers will be contacted for a full refund and will be able to purchase replacement tickets on Wizz Air Hungary at the same price as the original ticket (“Wizz Air Fare Guarantee”). Customers on these services will be contacted for a full refund. Copyright Photo: Nik French/AirlinersGallery.com. Airbus A320-232 UR-WUB (msn 3741) of Wizz Air (Ukraine) arrives at Antalya, Turkey. This entry was posted in Wizz Air (Hungary), Wizz Air (Ukraine) and tagged 3741, A320, A320-200, A320-232, Airbus, Airbus A320, Airbus A320-200, Antalya, AYT, Kiev, UR-WUB, Wizz Air, Wizz Air (Hungary), Wizz Air (Ukraine) on March 31, 2015 by Bruce Drum.